Some of my biggest influences are synth players like Jan Hammer, George Duke, Stu Goldberg, Chick Corea and I love the sound of Minimoogs, etc. While I'm still pretty new at synthesis and that whole sound sculpture thing, I've studied the playing and have incorporated a lot of it into my own playing and want to go down that road for a while. Anyway, here is an old favorite by Jeff Beck, The Golden Road in a quick demo I whipped up. This is kind of a hint at where I'm traveling to. All melody and solos played on lap steel. Very nice Mike! I too am a big synth fan and will check that pedal out! Thanks! Well, at least that makes two of us. I’ve always been reluctant to want to use pedals like the C9 organ pedal because I didn’t want to sacrifice the steel guitar’s sound, but I’ve been looking for a square and sawtooth waveforms for a long time. I know Buddy Emmons was into exploring sounds and pushing the envelope in what he played, and to me that’s a green light to all of us to do our own exploration. Dang that's really nice playing Mike! I too like synthesis. Took a course in college, we used a Putney and that was real synthesis. Had one some years ago. I have a Minimoog and a Pro One by Sequential Circuits, analog synths, and a couple of Yamaha TX81Z's. Corea, Hammer, Duke are faves as well to name a few. Saw Herbie and Chick on the same stage, Zawinul with WR. Edgar Winter with his shoulder strapped Arp when he just released Frankenstein. I think you're right in that the pure sound of steel is upfront and adding anything to it might need to be a judicious compliment rather than a departure. But it sounds challenging to contemplate adding synth to steel. I used to have an Arp Omni, which was more of a string synthesizer, and then I had a Roland GR-50 and got into programming it a bit, but we’re talking FM synthesis which is not something I’m into. I’m diving in pretty deep to the MIDI aspects of programming with this Meris Enzo pedal. I’ve been waiting for the opportunity to explore this for a long time. Desperately but patiently waiting. It’s a game changer for me personally. The other sound that really turns me on is the Fender Rhodes with ring modulation. However, that is even more elusive and, no I don’t want a Key9 pedal. I’m diving in pretty deep to the MIDI aspects of programming with this Meris Enzo pedal. Both these pedals get interesting sounds. The Enzo pedal sample clips remind me of the Nonesuch Guide To Electronic Music by Beaver and Krause clips (1968) that was part of my college synth class's curriculum decades ago early 70's, sporting a closer true synth tone, sounding surprisingly analog. Back then polyphony was not even in production. Even the Gino Vannelli albums with his equally talented brother Joe on keyboards and production were done note by note in the 1970's until the Prophet (Sequential Circuits) series came out a mere 10 note polyphony for $10,000 American. We discussed MIDI *again* recently on the forum. And the resulting prognosis from a MIDI interface maker, Jordan Petkov, is that MIDI for psg is more complicated than a basic guitar and that he in the future would like to investigate the genre. Study of synthesis would involve understanding wave shapes, envelope controls, portamento, LFO reactions upon waveforms and filtering, ring modulation parameters. Back in the 20th, synths were voltage controlled and generated. Today it's all digital. The tones are markedly different on analog, more raw. 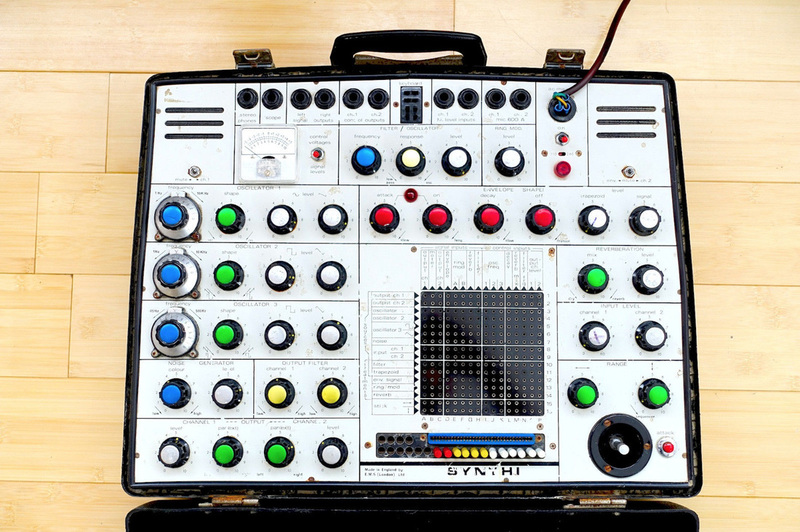 EMS Synthi A AKS MkII VCS3 Putney. This had a flat touch keyboard. 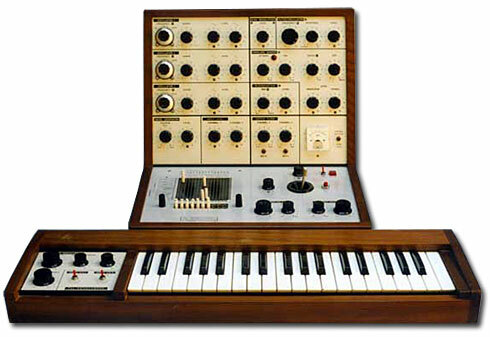 The Synthi A came out in 1972. You can hear the Synthi A on "On The Run" off of Dark Side Of The Moon by Pink Floyd out in 1973. EMS VCS3 Putney with Cricklewood keyboard. The above are 3 oscillator synths (the largest dials) with a joystick using a patch pin matrix to connect the oscillators to the envelopes unlike the Arp units that used long patch cords. The Yamaha TX81Z's 8 voice FM engine was heard all over 1980's hits. Some producers will use two of these in tandem, stacking the synth. Again, the major stumbling block for psg is a proper interface into these machines. But yeah, "pushing the envelope" would envision a whole new triggering device for synthesis were a psg properly interfaced and the complexities of the steel guitar tracked and realized through a real synthesizer. Imagine when you hit a pedal or knee a lever, a trigger on those pedals and levers would excite the synth to do something with those movements apart from the picking and the bar drags, then mixing that all together, making Conrad's statement "all the past as well as all the future” a reality. 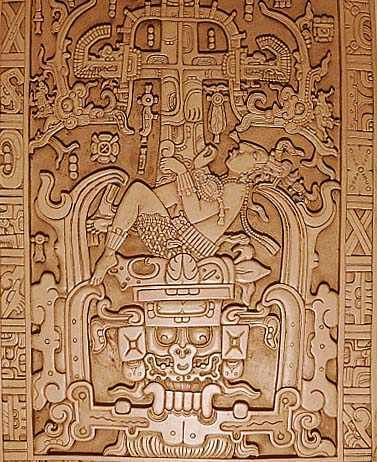 Pacal the Mayan astronaut, complexity in stone. My background is electronic music, I worked as a freelance engineer/producer for more that 10 years, still own my full studio including lots of nice analogue synths. I own a EMS AKS Synthi, awesome synth, and the price of that thing went total crazy up in the last 15 years, seems that was one of my best investments ever : ) . MIke, you can also check out the Electroharmonix Microsynth, totally analogue, you might already know it, very cool pedal with an awesome sound. The good old GuitarRig 5 from Native Instrument (shameless plug here) with it's very complex routing possibility is also capable of creating very interesting sounds. That is unreal. Great playing & tone/sound Mike. Thanks, I am really enjoying exploring the possibilities. To use a monphonic synth on lap steel is tough and requires really tight right hand technique. Any bleed of one note into another or even any hand or bar noise on the strings results in glitching, which is nasty as heck. On the track I posted, The Golden Road, only the melody is played with a synth.